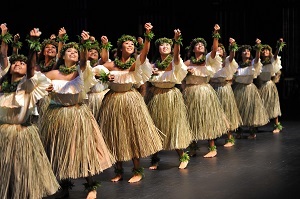 Cultural Programs embody MACC’s commitment to Hawaii’s diverse cultural communities and Pacific traditions. 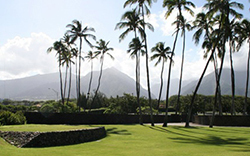 The Maui Arts & Cultural Center has become the artistic and educational heart of the community, and its Cultural Programs reflect and maintain Hawaiian values. A core tenet of Maui Arts & Cultural Center is that Hawaiian culture is vital to the identity of the institution. The MACC’s cultural programming, under the theme “Celebrate Hawai’i”, supports the performers and artists of Hawai’i as well as provides additional educational outreach activities in the community. Thus, diverse groups of residents and visitors may share, understand, and gain new perspectives on the multiple facets of Hawaiian culture as expressed through the arts. A simple mound of earth faced with river rock sits in stately silence to one side of the Maui Arts & Cultural Center’s amphitheater. The structure’s simplicity belies its significance: this is Maui’s first recorded pā hula: a space dedicated to the ancient Hawaiian tradition of hula, and to the cultural proctices of Maui’s kumu hula, their students and guests. 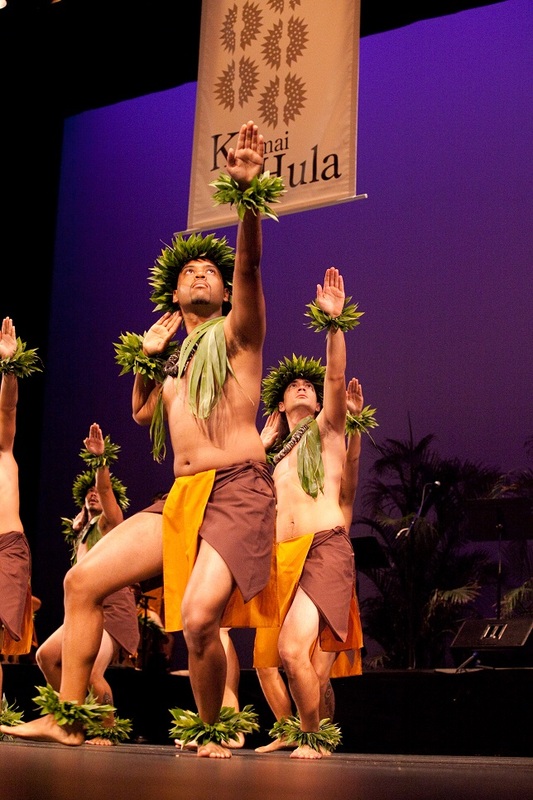 One of only four known pā in the state, the pā at the Maui Arts & Cultural Center was created under the direction of kumu hula and cultural specialists Hōkūlani Holt, Keali‘i Reichel, AI Lagunero, and Bert Sakata. Its purpose is to honor and perpetuate the art forms at the core of Hawaiian culture. In addition to his expertise on a variety of instruments, O'ahu-born Blayne is a prolific songwriter. 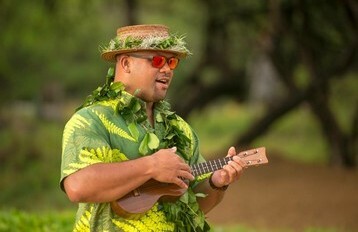 His music ranges from country and folk to island style; he also loves to perform the music of his favorite Hawaiian legends. Born and raised on Kaua‘i, Kainani embraces a deep kuleana to perpetuate the Hawaiian language, particularly through the art of Hawaiian songwriting and poetry. 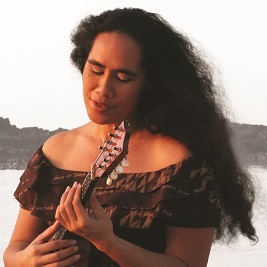 Winner of five Nā Hōkū Hanohano Awards, Kainani is a soughtafter performer whose original compositions have appeared in films, documentaries, and television. Weaving her life’s purpose seamlessly into her work and her music, Kainani’s dedication shines forth in her songs. 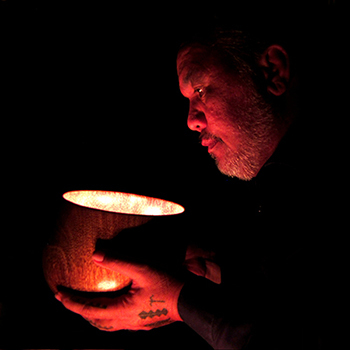 A one-person play written and performed by Moses Goods as a commission in commemoration of the 200th anniversary of the passing of ‘Ōpūkaha‘ia. He was a young Hawaiian man whose journey to New England and conversion to Christianity had a profound effect on the history of the Hawaiian Islands. As part of the hour-long program, Po‘ai Lincoln of Hawaiian Mission Houses will be providing historical context as well as sharing mele and ‘oli that relate to the performance. award-winning hālau, invited from Hawai‘i, Japan and North America, competing in solo and group performances. Male and female dancers perform both kahiko (traditional) and ‘auana (modern) hula. Presented by the MACC and Kauahea Inc. The MACC presents a selection of this year's screenings from the Hawai‘i International Film Festival (HIFF) — the vanguard forum of international cinematic achievement in the Asia-Pacific region. Featuring: Moananuiākea: One Ocean.One People.One Canoe. (Hawai'i); Sharkwater Extinction (U.S.); 50 First Kisses (Japan); Anote's Ark (Canada). 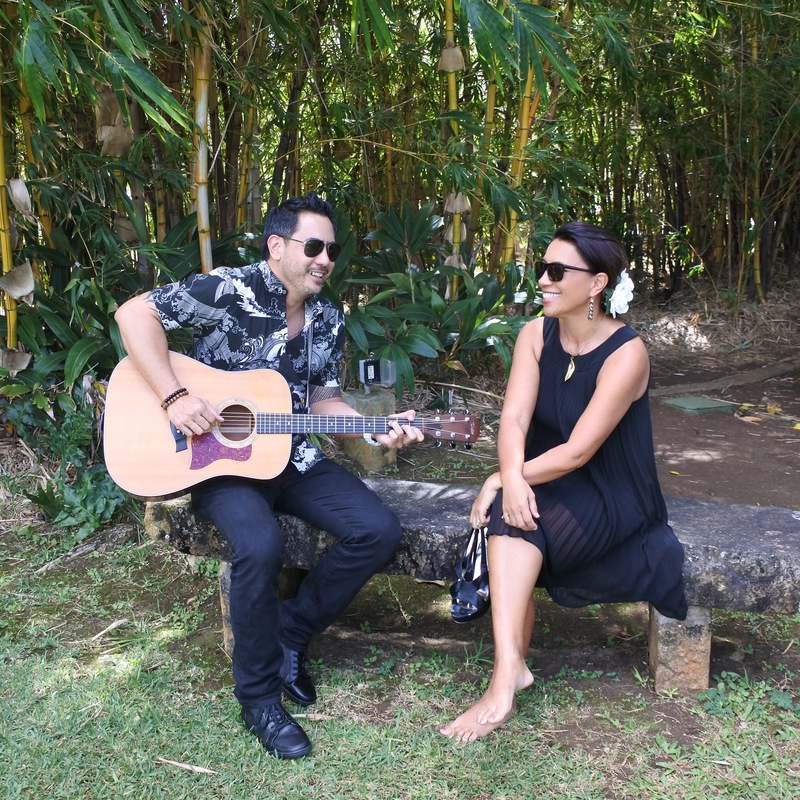 Lehua and Shawn bring a wide range of experiences to their duo performances — as solo artists and as part of renowned groups. They both write, produce and arrange their own music as well as compositions by friends, and manage their own record labels. Their onstage presence includes an easy-going style, witty banter, eclectic musical tastes, and dedication to the purity of the music and Native Hawaiian culture. The inaugural screening on Maui of this annual showcase of incredible independent films, all with a strong connection to Hawai’i. Featuring: The Moon & the Night; Last Taxi Dance; Kālewa; Hae Hawai‘i; Mauka to Makai. Panel discussion on some of the deeper themes of the Hawaiian arts: regarding the primal, the carnal, and essential elements of Hawaiian sexuality. 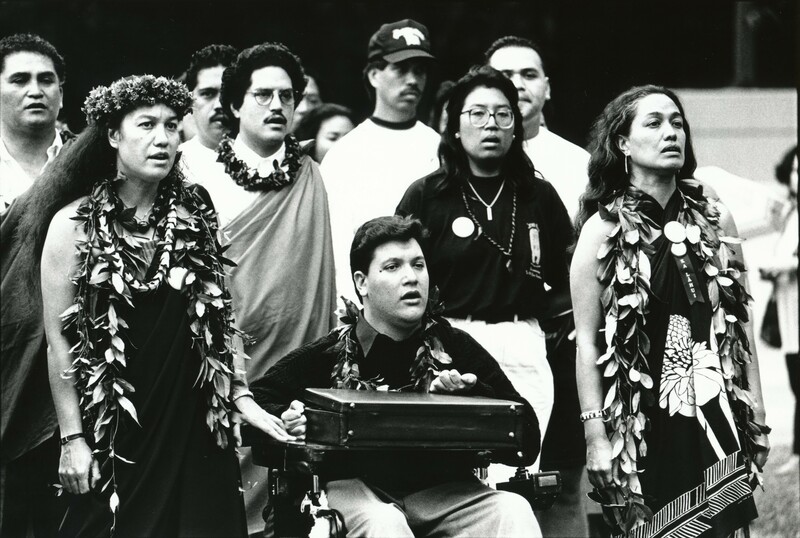 Panelists include Mehanaokalā Hind, Manaiakalani Kalua, and Kumu Hula Keali‘i Reichel. 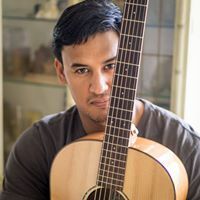 Musician, vocalist, songwriter, record producer and dancer Kuana Torres Kahele is known for his poetry-laden lyrics as one of the most popular entertainers performing in Hawai‘i and Japan. He maintains his own Hawaiian music & culture school in Japan, where he teaches more than 200 students in Tokyo, Kyoto and Osaka. In 1898, Hawai‘i was annexed by the United States in an unorthodox and controversial manner. Citizens of both nations debated the issue - then, as well as now. This stage production is a reenactment of the enlivened debate, bringing to life the arguments that raged during 1898 regarding the annexation. The performance aims to make Hawai‘i’s history relevant to a diverse audience that extends beyond Native Hawaiians, illustrating the impact these events had on everyone living in the Islands, both at the time and since. A discussion with Hawaiian scholars followed the performance. Presented by Hawai‘i Pono‘ī Coalition, an apolitical and nonpartisan consortium founded to educate residents and visitors about Hawaiian people, their culture, and history. When 15 year old Kanalu Young takes a dive into shallow water he becomes quadriplegic, paralyzed from the neck down. Angry and defiant through months of rehabilitation, he begins to change when he learns the Hawaiian language and discovers a hidden story of Hawai‘i's past. He earns a PhD, gets arrested fighting for Native Hawaiian rights, and becomes a passionate teacher and leader who instills pride in his people. A panel discussion after the screening will be facilitated by filmmaker and professor, Marlene Booth. Panelists include Shavonn-Haevyn Matsuda, librarian at UHMC; Ekela Kaniaupio-Crozier, Hawaiian protocol facilitator at Kamehameha Schools Maui; and Kaleikoa Ka’eo, associate professor of Hawaiian studies at UHMC. With "the voice of an angel," four-time Na Hoku Hanohano Female Vocalist of the Year and Miss Aloha Hula, Natalie Ai Kamauu is one of Hawai`i's vocal treasures. She received honors for her sparkling albums, “`E, `Ī, and `Ā” and the Grammy-nominated, “La La La.” Captivating audiences internationally, Natalie’s voice has the ability to shake your soul: her heart is heard in every note and lyric! Maui Arts & Cultural Center welcomes three lovely, distinctly recognizable voices, all rich in Hawaiian musical tradition, numerous Nā Hōkū Hanohano awards, for one night only in the intimate McCoy Studio Theater. Join Darlene Ahuna, Ku‘uipo Kumukahi, and Mihana Souza as they share their fun-filled stories and exquisite skills with our MACC ‘ohana. With the Hula Preservation Society: a performance and discussion on an ancient hula form, Hula Ki‘i—dance with an image, or as an image—shared by three lines that actively practice it today. Hula Ki‘i can be manifested in different ways: dancers may form the Ki‘i with their own bodies or they dance with or manipulate puppets made of natural materials like wood, coconuts, stones, shells, nuts, greens, kapa, fibers, and feathers. Featured ki‘i practitioners participating in the event include Kaponoai Molitau, Aulii Mitchell, and Mauliola Cook. Dressing an ‘olapa (dancer) is done with mindful and creative decisions. Join us in a panel discussion with several Maui Kumu Hula to hear about traditions they carry in respect to costuming their hālau, what inspires them, what doesn`t, are there “trends” and do they follow them, plus experience each of them taking you through the step-by-step process of dressing an ‘olapa. An interesting look into the insight, traditions and creativity of a kumu hula. Kū Mai Ka Hula features award-winning hālau, invited from Hawai‘i, Japan and North America, competing in solo and group performances. Male and female dancers perform both kahiko (traditional) and ‘auana (modern) hula stylings, in levels of performance as seen in the well-known competition. Presented by the MACC and Kauahea Inc.
Students from Kamehameha Schools–Hawai’i Campus showcased their exceptional talents in fine art, Hawaiian language, chant, solo and choral singing, dance, instrumental performance, and drama with a presentation of the Hawaiian language opera, “Hā‘upu,” in the Castle Theater. “Hā‘upu” is based on the legend of Hina and her son, Kana. 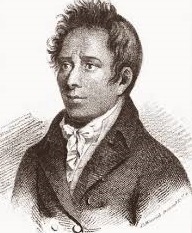 Hina, an ali‘i from Hilo, is kidnapped by Kapepeʻekauila, a rogue ali‘i from the island of Moloka‘i. In retaliation for this outrageous kidnapping, Hina’s sons Kana and Nīheu mount an attack on Kapepeʻekauila’s fortress on the north shore of Moloka‘i on the cliffs of Hā‘upu. While the daring rescue is being conceived and carried out, Hina unexpectedly begins to fall in love with her captor, Kapepeʻekauila. In the end, Hina is saved by her sons and Kapepeʻekauila is vanquished, although the true fate of Hinaʻs love for the Molokaʻi aliʻi is unknown. The opera will be performed in the Hawaiian language.The printed proram included a thorough summary of each act for the audience to follow along. Featuring award-winning hālau competing in solo and group performances. Male and female dancers perform both kahiko (traditional) and ‘auana (modern) hula stylings, judged by renowned, prestigious kumu hula. Expect to see hālau competing in a level of performance as in more well-known competitions, yet this event takes place in our own comfortable and beautiful venue of Castle Theater, right here on Maui! Presented by MACC and Kauahea Inc.
An intimate conversation with Maui kumu hula about what the kuahu means to them personally and to their hālau hula. According to Unwritten Literature of Hawaii by Nathaniel B. Emerson, “In every hālau stood the kuahu, or altar, as the visible temporary abode of the deity, whose presence was at once the inspiration of the performance and the luck-bringer of the enterprise.” How is the kuahu celebrated or honored today? How do they maintain its significance today? Participating kumu hula: Kumu Hula Nāpua Greig, Kumu Hula Kamaka Kukona, Kumu Hula Kapono'ai Molitau, and Kumu Hula Pueo Pata. Facilitated by Kahulu Maluo, MACC’s cultural programs director. Following last year’s powerful, Trial of a Queen, the Hawai‘i Pono‘ī Coalition brings Mai Poina: The Overthrow to the MACC in September. 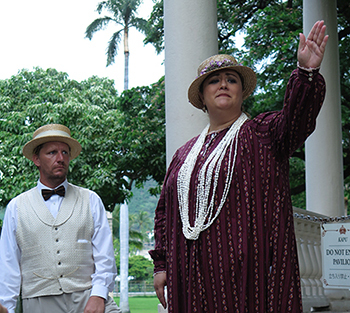 This theatrical production tells the story of the tumultuous last four days of the Hawaiian monarchy from the perspective of the people most concerned: native Hawaiians and other citizens of the kingdom. 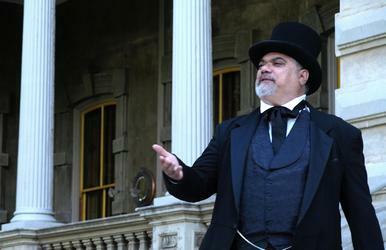 Newly conceived for the MACC, history comes alive to inform and inspire. An open discussion with Hawaiian scholars follows the performance. 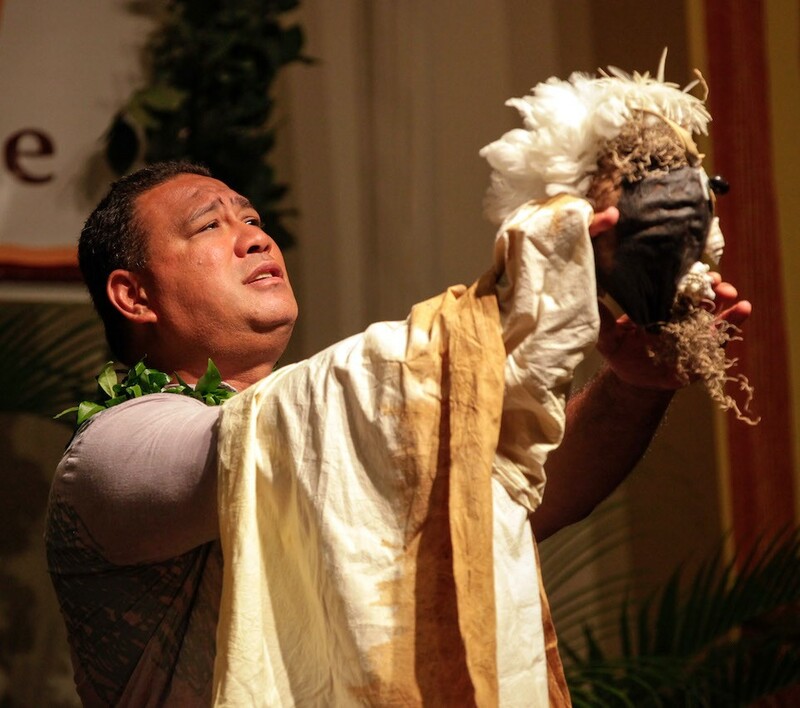 The play is presented by the Hawai‘i Pono‘ī Coalition, which is an apolitical and nonpartisan consortium of Hawaiian-serving organizations founded in 2007 to educate those who live in and visit the islands about Hawai'i’s true history, the Hawaiian people, and their culture. Jump into the waʻa (canoe) with your new friend, Pākaʻa, and help him paddle to keep up with the ʻau waʻa lawaiʻa (fishing fleet) as they make their way out to the kai lawaiʻa (fishing grounds). There, after the fishing is done, Pākaʻa will wager his share of the catch on an impossible bet – and win! Pāka'a Lanakila is a classic coming-of-age story that first appeared in Hawaiian-language newspapers during the late 19th century. Many versions have appeared since, in both Hawaiian and English. In 2011, on a commission from Chamber Music Hawaii with funding from the Honolulu Mayorʻs Office on Culture and the Arts, composer Jon Magnussen created a musical setting of a portion of the story in which the story is told by a flute, oboe, clarinet, horn, bassoon, and a narrator. Chamber Music Hawaii’s Spring Wind Quintet and friends share the exciting moʻolelo (story) of Pākaʻa, in a special presentation which includes an interactive demonstration in which the audience can learn about the musical instruments and the story. English subtitles will be provided. Music education resources are available for teachers in both ʻōlelo Hawaiʻi and English-speaking classrooms, including a bilingual CD recording and a free, downloadable bilingual teacher resource guide, with artwork by noted Hawai‘i Island artist, Caren Loebel-Fried. Although they travel far from home, some Hawaiians have found that their heritage follows wherever they go. Come hear ghostly tales and spine-tingling accounts of our Hawaiian brothers and sisters whose haunting experiences in far-off lands are overcome by their own cultural traditions. Lopaka Kapanui is a native Hawaiian storyteller, writer, actor, kumu hula, cultural practitioner, former professional wrestler, husband, father, and grandpa. Sharing more than just Hawaiian ghost stories, Lopaka shares his knowledge of the history and legends of Hawai'i. Playwright Lee A. Tonouchi brings us a warm tale of generations of an Okinawan family in Hawai‘i. David Tamashiro resists his grandfather’s sanshin lessons until he has the right motivation: a girl. A pretty young lady from Okinawa helps David and his friends discover much about themselves and David’s enigmatic grandfather. This is a story about the change that any culture experiences when it is relocated. Grandfather wants to play music the way it is played in Okinawa, but his grandson wants to combine tradition with more modern methods and the mix of culture found in Hawai‘i. When the guest from Okinawa arrives, she brings tradition and fresh perspective – teaching both about Okinawa in the present. The grandson learns a new way of playing that honors Okinawan culture. Directed by Reiko Ho. Award-winning actor, writer, and storyteller Moses Goods creates an unforgettable portrayal of the life of Duke Paoa Kahanamoku in his one-man show entitled “Duke.” Hawai‘i’s first Olympic gold medalist and the father of modern surfing, Duke Kahanamoku is unquestionably one of the most important and beloved figures in Hawaiian history. Known for his humility, kindness, and love of community, Duke’s fame and renown made him a role model and source of inspiration for all. 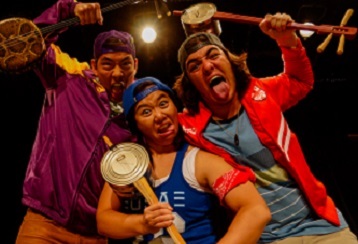 The original production of “Duke,” directed by Eric Johnson, premiered in October 2015, at Honolulu Theatre for Youth, where it successfully ran for five weeks and reached over 10,000 audience members. Moses Goods is one of Hawai‘i’s most prominent theatre artists. Originally from the island of Maui, he is now based on Honolulu and travels nationally and internationally performing his original work to a wide range of audiences. 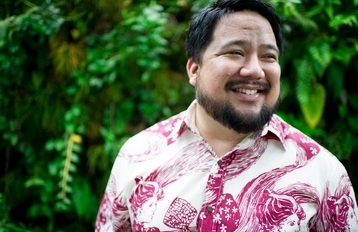 A multiple Nā Hōkū Hanohano award winner with his debut solo album Ahuwale, Chad is an accomplished composer, musician, and leo of Hawaiian music. Chad and his special guests will share a collection of mele from the past and present, embracing the beauty and honesty of human vulnerability. The musicians of Keauhou find passion and joy in the performance, preservation, and perpetuation of traditional Hawaiian music. 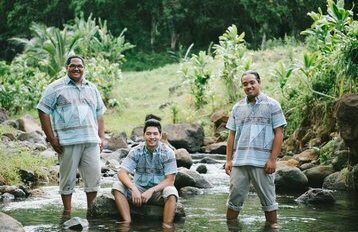 The trio includes Kamehameha Schools graduates, Kahanuola Solatorio, and brothers, Nicholas and Zachary Lum, who bring forth inspiration from Hawaiian music of the eras preceding them, and contribute to a renewed respect and interest for the incomparable beauty of traditional Hawaiian music. All three are active and passionate educators and cultural practitioners in their field. With the relationships between them and the guidance of Ke Akua as top priorities, the members of Keauhou offer a new sound to the Hawaiian music scene, inspired by those who have come before. The Maui Arts & Cultural Center is a gathering place where we celebrate community, creativity and discovery. The MACC logo includes the petroglyph image of a human being releasing a bird into flight — symbolizing the freedom of expression that lies at the heart of all creative endeavors.